I was the kid who didn’t like dessert. Sweet stuff never appealed to me. Maybe a Devil Dog here and there. And I’d always savor my mom’s cupcakes. And for some reason pumpkin pie with vanilla ice cream was a favorite. Probably because it was really “food” and not dessert. But in our house Italian pastries appeared regularly from the Italian bakery. 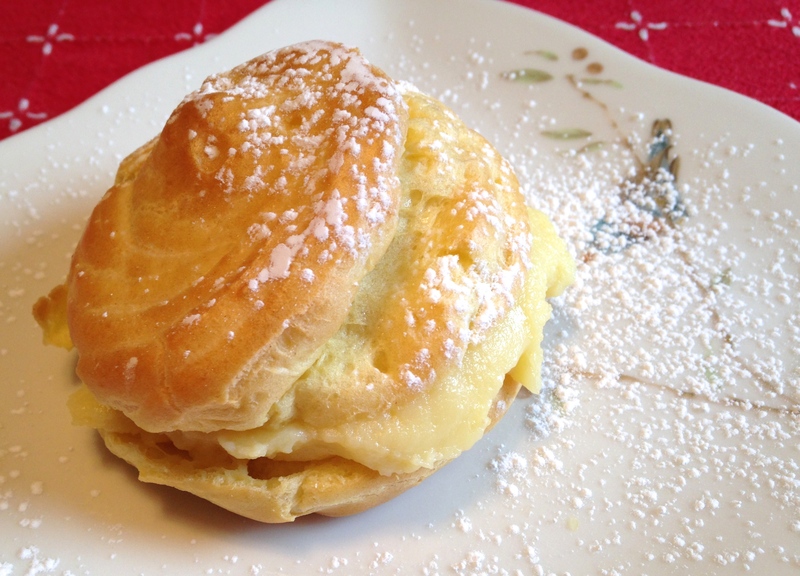 Sfoglitelle, pastaciotta, baba au rhum, lobster tails, and napoleons, cream puffs, and eclairs. My eyes just passed over these concoctions like they weren’t even there. And then, of course, the ubiquitous cannoli. These I especially didn’t like. And all of them also came in miniature size. Still didn’t faze me. They were like props at the table. Call it age (I’m not that old, am I?) 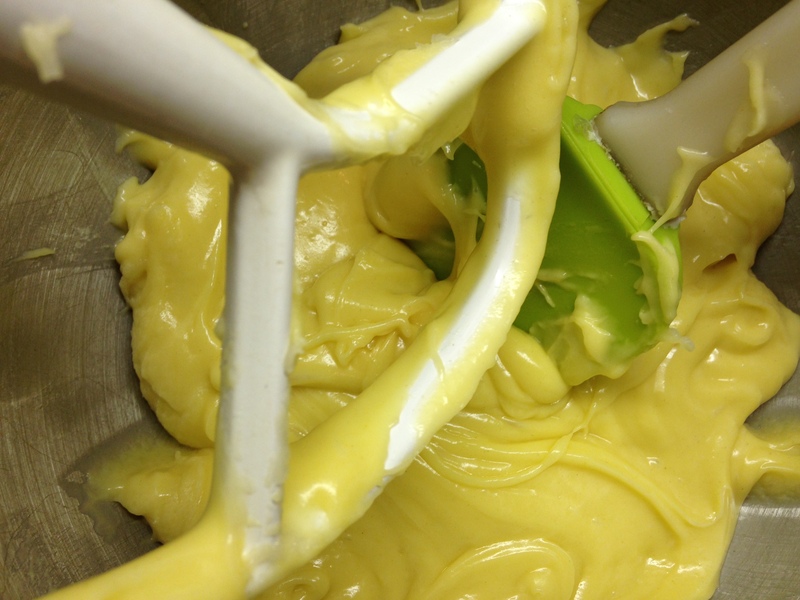 or evolving palate, or ever-expanding culinary curiosity, but now I can appreciate those sweet, happy cakes. And I’m fascinated with how to make them. I make them. I taste them. But I still don’t really devour. Other people do. And I love to make people happy with dessert. Three or four years ago we made traditional cannoli in my cooking classes. 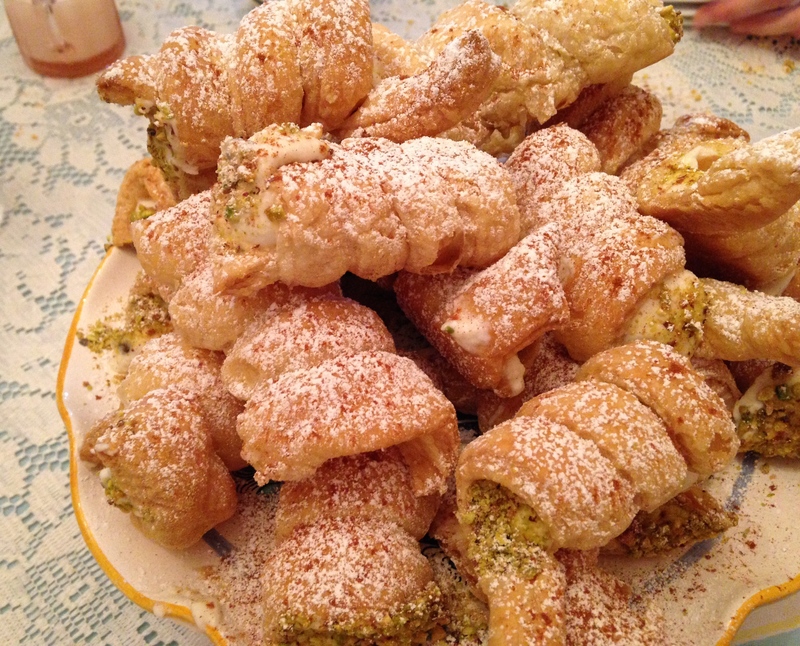 The dough was inspired by Mario Batali’s recipe and we formed it around the cannoli molds and deep-fried them. Then carefully removed the cooked shells from the molds and piped in our filling. 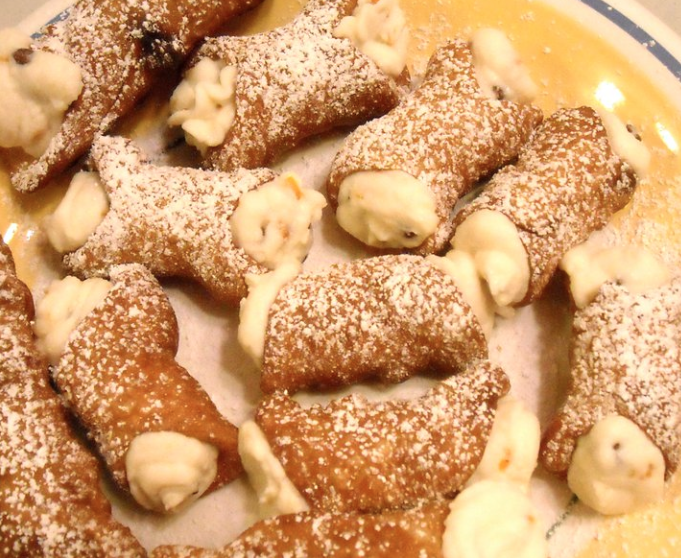 But recently I came across another way of making cannoli from Nick Malgieri’s 1990 book “Great Italian Desserts.” Malgieri is the head of the baking program at my culinary school: ICE. 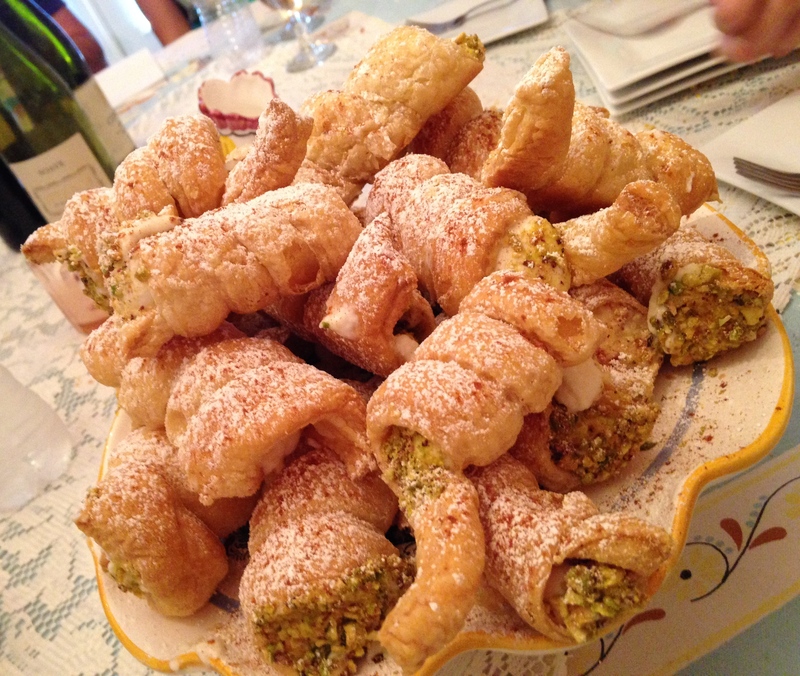 In his recipe you use puff pastry to make the cannoli shell. We’ve been making them in class this summer and they are so fun and so lovely and so easy. 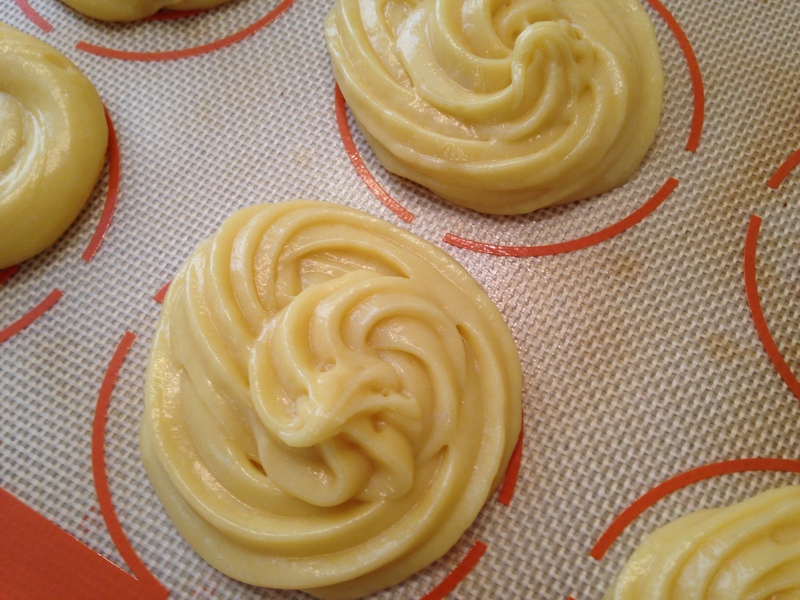 You roll out a sheet of puff pastry to fairly thin. Then cut about 1-inch strips. 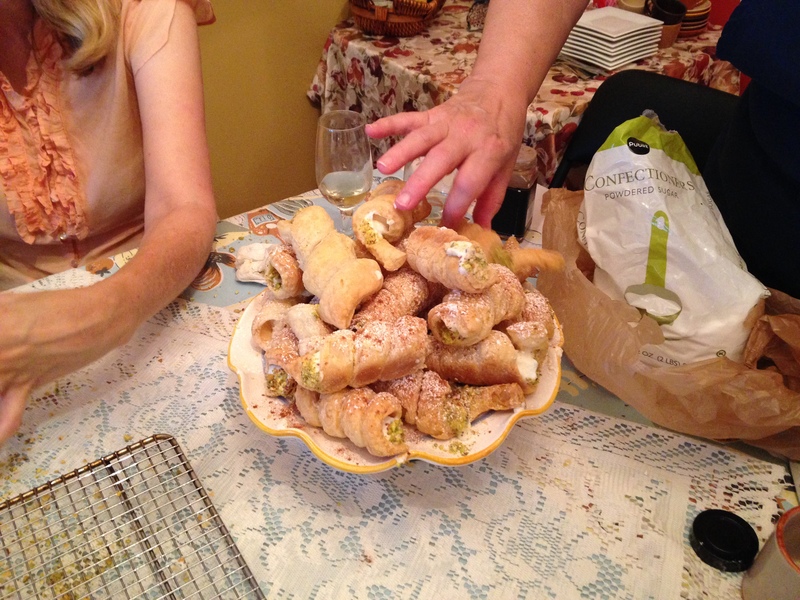 Gently roll the strips around the cannoli form, overlapping as you go. Not too tight, not too loose. 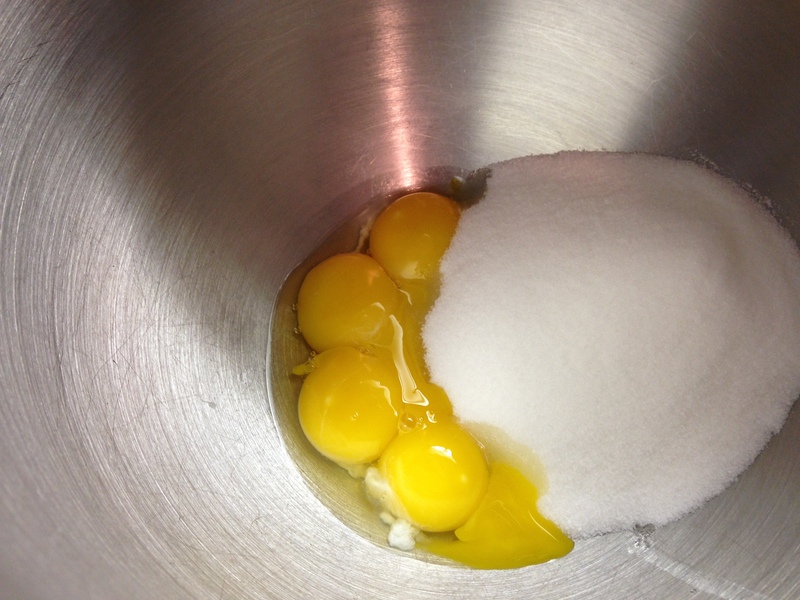 Bake them and gently remove from the mold. Let cool, and pipe in filling. They are so beautiful. Delicious. And a blast to make. Mainly because you can’t believe this is actually working! I make my filling not that sweet. Most Italian desserts are not overly-sweet. (And there’s that no-sweets-for-me stubbornness.) If you don’t have a sweet tooth, or are cultivating one, or have a very big sweet tooth, this recipe will satisfy all. Try it. Let me know how you make out. 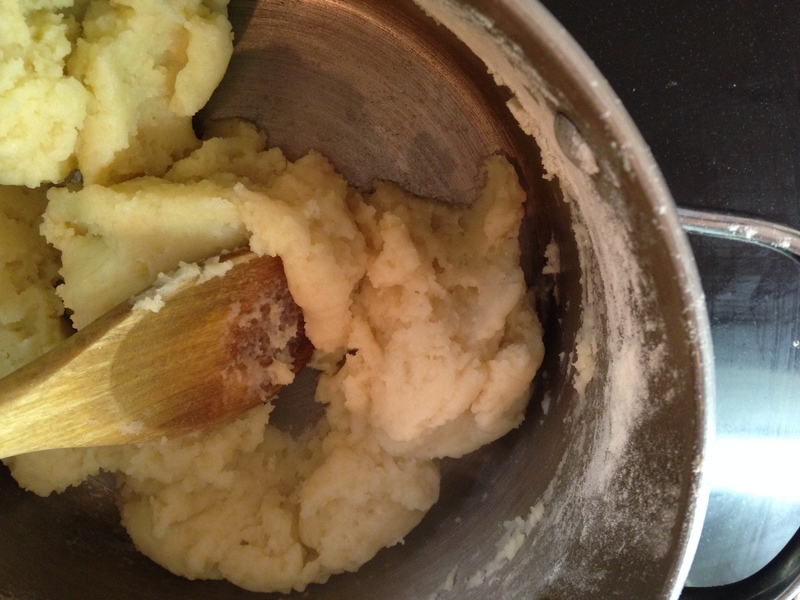 Roll out dough on a lightly floured surface until pretty thin (about 30 % larger). 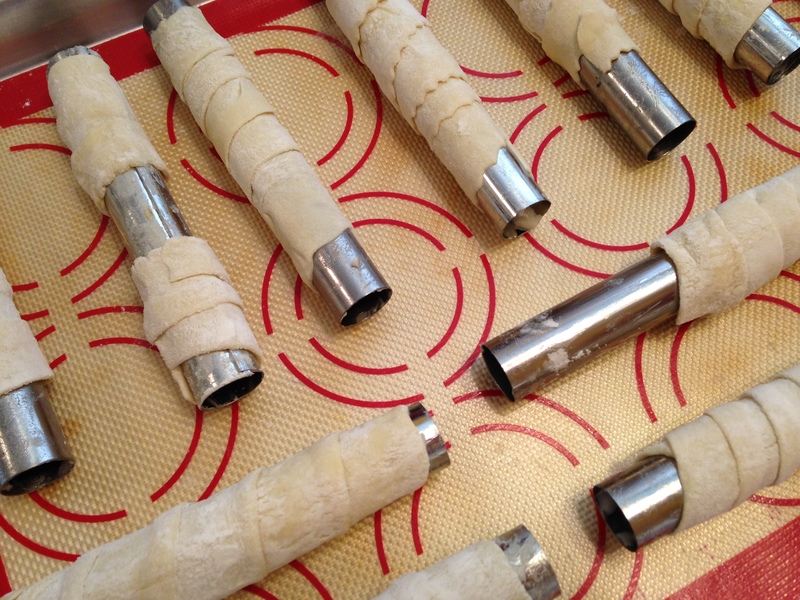 Cut dough width-wise into 1-inch strips. Butter the cannoli tubes. 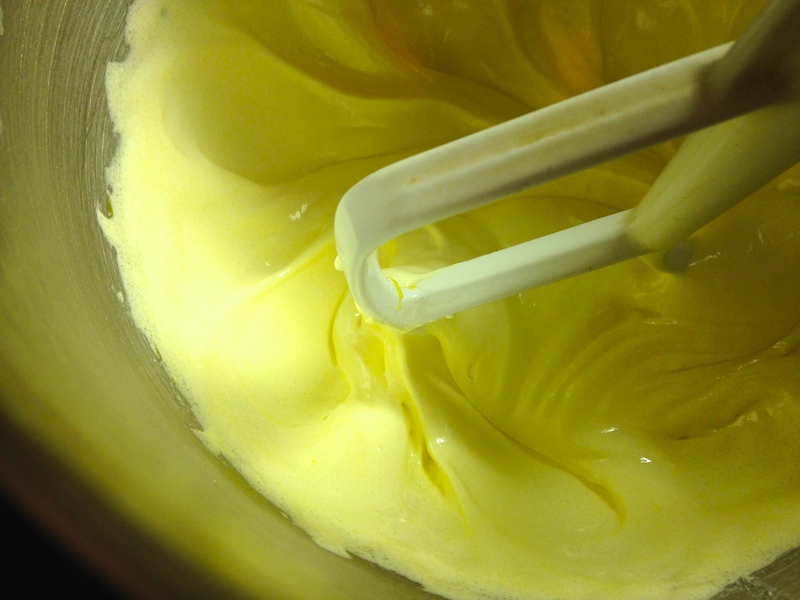 Gently, but firmly wrap a strip of dough around a tube making an overlapping spiral. Don’t pull the dough too tightly to wrap, but gently secure. Repeat with the rest of the dough and tubes. Place seam side down on a parchment or silpat-lined baking sheet. Bake for about 30 minutes until golden. When cool enough to handle very gently slide the pasty off the form. Let cool completely before filling. 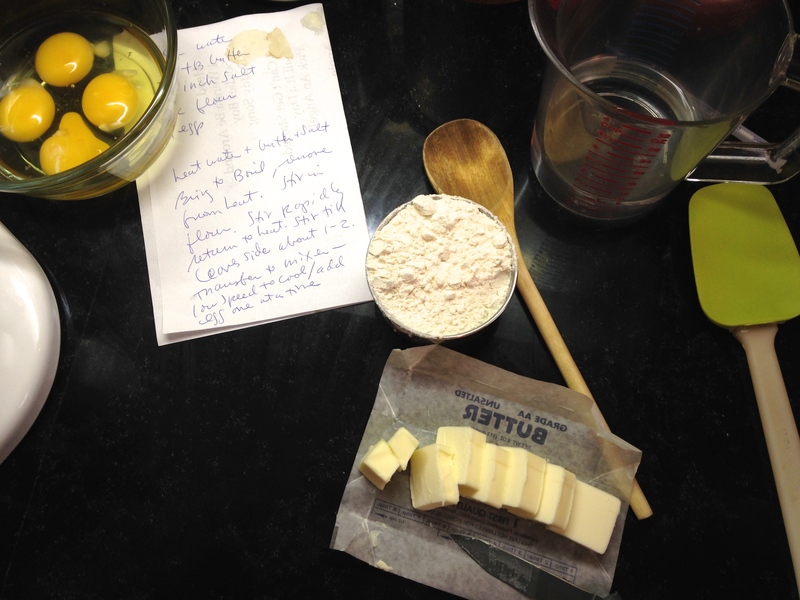 In a medium mixing bowl, combine the ricotta with sugar and whisk until sugar no longer feels gritty. Stir in the cream and chocolate chips. Spoon half of the mixture into a quart-sized ziplock bag. Push mixture to a bottom corner and seal the bag pressing out air. Snip the corner where the ricotta is— a hole about the size of a pea. 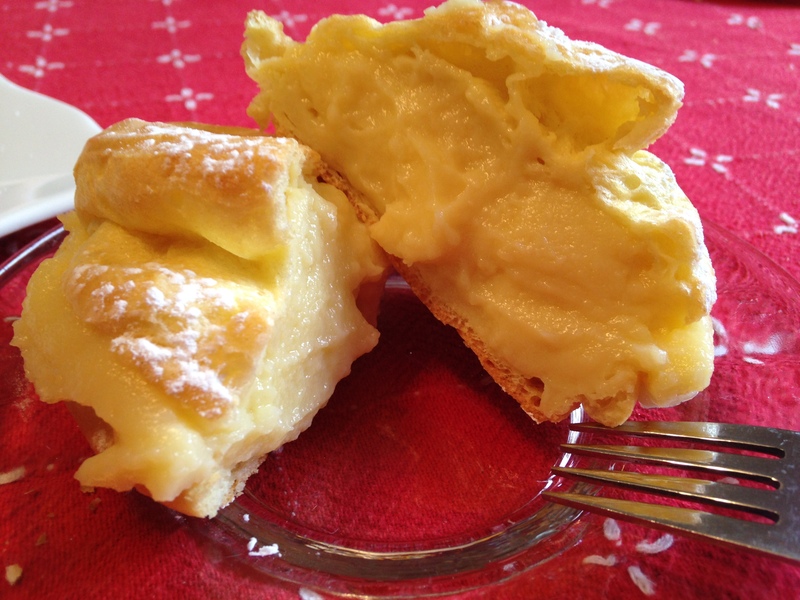 Hold one of the pastries upright and hold the pastry bag about 1-2-inches from the pastry opening. 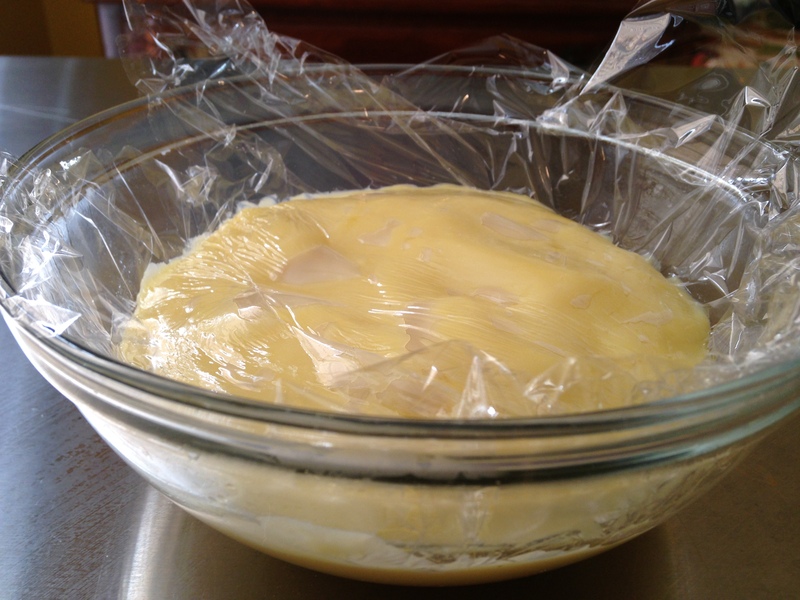 Squeeze bag and let pastry fill. Press crushed pistachio nuts at either end. Repeat with the rest of the tube and filling. Dust with powdered sugar and cinnamon. Serve right away or refrigerate overnight.